Some of my most memorable Christmases growing up were when my family drove from Florida to my grandparents' old farm in Michigan. Often we had fewer presents in order to save money for the long journey. But we were together as an extended family, and we usually had snow—something we never saw in Florida. Grandpa would let the smaller kids ride horsey on his leg. Grandma cooked delicious meals on a wood-fired stove. She often grabbed us kids and whispered in our ears, "I love you. Thanks for coming home." The older kids helped Grandpa cut a Christmas tree in the forest, then we supplemented Grandma's old ornaments with strands of popcorn and chains made of crepe paper. The cousins sat around the potbelly stove for warmth and watched Christmas programs on our grandparents' black-and-white television. All the while, we stuffed ourselves with Toll House or molasses cookies. A half-century later, just the smell of homemade cookies makes me nostalgic for Christmas on the farm. My worst Christmas was the year I didn't fly to California, where my parents, brother and sister had moved. I stayed and took a seasonal job at a men's clothing store to earn a few bucks for college expenses. I wasn't prepared for how lonely I felt on Christmas Day. That experience has motivated me to reach out to people I know are alone on what should be the happiest of all days. Today, my family gathers at our house on Christmas. Both our sons and grandson live nearby as well as my 90-year-old mother and several of Joy's family members. No matter how busy we are, everyone comes home for Christmas. My wife decorates the house like Martha Stewart, and I decorate the yard with a giant nativity announcing to the neighbors we are celebrating Jesus' birth, not Santa Claus. Early in my career, I was mentored by the great late writer Jamie Buckingham, who had a special place in his heart for family and Christmas. 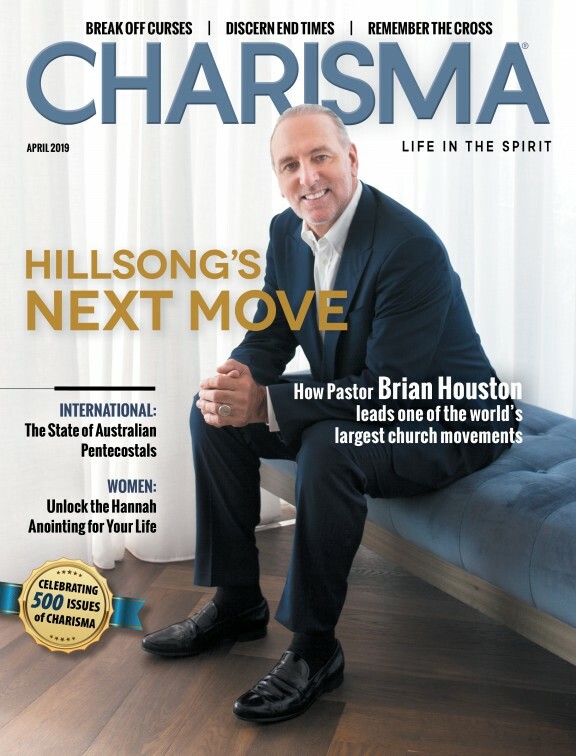 He often wrote about it in Charisma's December issues. "What is it on this day that so drives us to be among loved ones?" he wrote in his "Last Word" column in 1982. "Home for Christmas! Busy businessmen forget about buying and selling, creating and convincing, to lounge around the house with the family. Things like trade agreements, real estate deals, marketing and sales—all take a back seat to important things like carving the turkey and opening inane but precious gifts under a tree." Home for Christmas! For many, it is but an impossible yearning. In hospitals, while suction machines whir and monitors bleep, some fight for their lives. In jails and prisons, men and women lie on rusting steel cots facing concrete walls or stare upward at gray ceilings. All, strong and weak alike, finally bury their faces in the mildewed lumpy pillow and cry away the day. Home for Christmas! In nursing homes, the grand old people of this world reach out for a small group of strangers with cookies and carols, vainly looking for comfort from an indifferent attendant—anyone who might bring a message of comfort and cheer. The words echo from the centuries: "God rest ye merry, gentlemen." God rest ye merry? How can there be any merriment if we are not home for Christmas? Why all this homesickness? Why do the Salvation Army lassies take on an almost saintly hue as they ring their little bells? They, even if you do not, will try to provide a home for those not home for Christmas. Could this homesickness be from God Himself? Is it possible that Jesus, lying in a bed of straw on Christmas Day, was homesick? Could it be the memory of heaven still lingered? 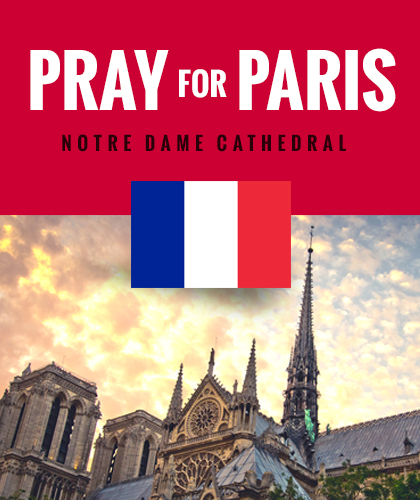 Were some of those infant tears the same tears lonely men and women shed today—tears in memory of home? This Christmas, missionaries will gather their families about them in unreached cities, hanging red and yellow decorations on banana trees, walking through maddening markets where the world roars by without even knowing the name of that baby. They are people on a mission. So He came, to bring heaven to earth, to make the kingdom He had known and to establish it on this planet. Because of Him, men and women no longer throng taverns, no longer fill their bodies with chemicals. Because of Him, children do not have to run away. Because of Him, no matter where we find ourselves on this Christmas Day, we will be home. 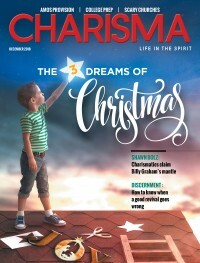 To read Jamie Buckingham's complete column, go to charismamag.com/homeforchristmas. If you share my love for this holiday season, share this article on your social media and click on my podcast below to hear more of my Christmas memories. And with that, I—and the rest of us here at Charisma Media—wish you and your loved ones a very merry Christmas!